Anavar is the commonly known trade name for the anabolic steroid Oxandrolone, and it is both an extremely popular oral anabolic steroid as well as an expensive one in comparison to other oral anabolic steroids in existence. Anavar was the result of the quest to develop and/or discover what could be called “the perfect steroid”, and Anavar did come pretty close to it – in fact, the closest out of any anabolic steroid discovered or created. The ideal ‘perfect steroid’ would be able to express all of the positive muscle building anabolic effects, while at the same time express zero negative side effects. Although Anavar is not without its potential negative effects, it is perhaps one of the only anabolic steroids that expresses so few negative effects that it is actually utilized in medicine in children as well as females. 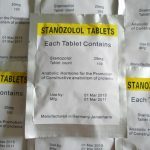 Children and females are traditionally two groups of people that normally do not react very well to anabolic steroid treatments, but Anavar is one such anabolic steroid that happens to be tolerated very well by even those who traditionally would not bode well with anabolic steroid treatments. 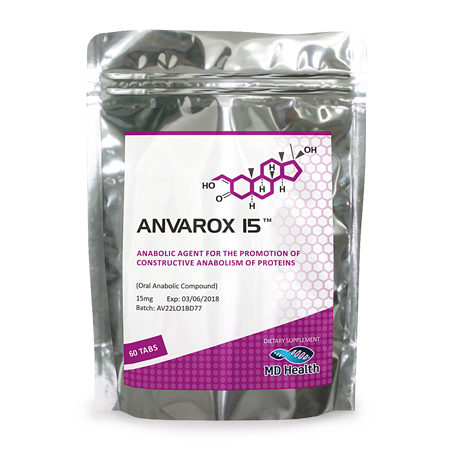 Anavar was developed in the early 1960s and its information was made public in 1962 under the name Oxandrolone. Only a short while afterwards, it was marketed as a prescription medication under a plethora of different trade names internationally as well as domestically within the United States under the brand name Anavar. Because of the effectiveness and low risk of the compound, it became an instant hit among the medical community and was prescribed for an almost infinite number of medical indications, such as: the preservation of lean weight during catabolic periods, recovery from trauma, recovery from surgery, bone strengthening in conditions such as osteoporosis, geriatric conditions, and the list goes on. 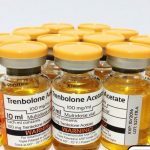 Like all anabolic steroids, the FDA almost 2 decades after its release, had narrowed down its list of approved treatments. Of course, during this period of time, its popularity had grown exponentially among the bodybuilding and athletic community for its ability to elicit a strong anabolic effect without high risk of androgenic or estrogenic effects. As a derivative of Dihydrotestosterone (DHT), Anavar holds complete impunity to any estrogenic side effects due to the fact that as a DHT derivative, it cannot interact with the aromatase enzyme (the enzyme responsible for the conversion of androgens into Estrogen). It holds a very low androgenic rating of 24 (compared to Testosterone’s 100), which means that its androgenic effects should not be very prominent at all except in only the most sensitive of users. Being an oral anabolic steroid, it is unfortunately C17-alpha alkylated (C17AA), which means it has been modified at the C17th carbon in order to allow the majority of it to pass through the liver un-metabolized so that it may exert its effects in the body. This C17AA modification, however, results in Anavar expressing a certain amount of strain on the liver (known as liver toxicity or hepatotoxicity). The good news is that Anavar’s hepatotoxicity has been found to be much less than that of other oral anabolic steroids. This is where and why Anavar is commonly claimed as being a ‘mild’ anabolic steroid, but only where liver toxicity is concerned. Holding an anabolic strength rating of 322 – 630, Anavar possesses an anabolic strength of anywhere between at least 3 to 6 times the strength of Testosterone, which is very impressive. Many users often speak highly of the strength gains from Anavar, likely as a result of its significant influence on increasing protein synthesis as well as its ability to increase creatine levels in the muscles by a very significant amount. Unlike most oral anabolic steroids, Anavar is very multifaceted in terms of it doses and how it can be implemented. Doses of Anavar can vary greatly, depending on the goal of the user. For example, it is commonly used during cutting cycles for its ability to avoid any estrogenic side effects, and therefore avoid things such as bloating (typically undesirable during periods of fat loss where increased definition is desired on the body). 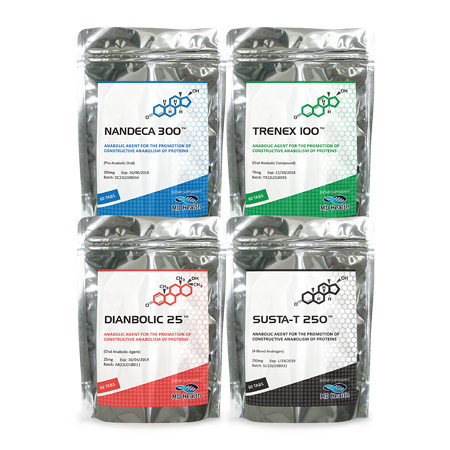 Anavar doses for such an application do not generally need to be very high, as the goal during a cutting phase is merely to preserve muscle mass during a caloric deficit rather than the addition of mass, which would require a caloric surplus. It can also be used very effectively for lean mass gaining and even bulking, where the Anavar doses for such a desire or goal would typically be higher than those for the preservation of muscle mass during a cut. Anavar is indeed quite a strong anabolic steroid, with a strength three to six times that of Testosterone, so it is well suited for a myriad of purposes. The only limits on Anavar doses would only be because of its ability to exhibit a degree of hepatotoxicity because of its nature as an oral anabolic steroid. Although as mentioned previously, this is not as much of a concern with Anavar as it is with other oral anabolic steroids (such as Anadrol), it should still remain a concern whenever Anavar is being used. The average prescription Anavar dose upon its first release as a prescription medication was normally around 5 – 10mg daily. Of course, it goes without saying that the doses required for performance enhancement and bodybuilding would exceed this, but not as greatly as many might think. One thing that must be understood is that Anavar is commonly stacked with other compounds, which will be further discussed in the Anavar cycles portion of this profile. But regardless, the compounds it is used with and the doses of those compounds do have an effect and influence on the Anavar doses that are typically used. Beginner Anavar doses are normally approximately 30 – 50mg per day. Intermediate level Anavar doses will normally rise upwards of 50 – 80mg daily, but it is not always necessary to increases doses just because one has entered what would be considered the ‘intermediate’ stage. If an effective dose for a person is that of 50mg per day, and it is their 9th cycle of Anavar, there would be no requirement to exceed this dose. With that being said, many individuals do rise even higher, and some advanced Anavar doses are known to be in the range of 80 – 100mg daily and never higher than 100mg/day. It is important to note once again that it is not necessary to rise into this dose range except under special circumstances – most users should be able to contend just fine around the 50mg range, despite what level of experience the user is at. As mentioned in the doses section, Anavar is extremely multifaceted in how it can be used, and this is no exception for Anavar cycles either. Anavar is perhaps the only oral anabolic steroid that can effectively be used in any type of cycle – bulking, cutting, and lean mass, and beyond. Not only does its impressive strength lend to this, but also the fact that it is an oral anabolic steroid that expresses far less liver toxicity than most other oral compounds. Anavar has for years been claimed as being an extremely ‘mild’ anabolic steroid, and while these claims are partly true, they are also partly false. Anavar side effects still do exist, there is no doubt about that, and some of them are worse and harder impacting than many have been lead to believe. However, the fact of the matter is that the majority of Anavar side effects are very much of a lesser impact than other anabolic steroids (especially oral anabolic steroids) have on the body. 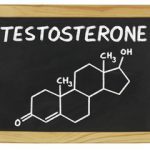 Estrogenic side effects: Anavar is a DHT derivative, which means that it possesses the trait passed down to it from its parent hormone, DHT, whereby it does not interact with the aromatase enzyme and is therefore unable to promote any estrogenic side effects such as bloating or gynecomastia. Androgenic side effects: Anavar possesses an androgenic strength rating of 24 versus Testosterone’s androgenic rating of 100. This is a very big difference in androgenic strength, and therefore Anavar should promote much less androgenic activity in the body than Testosterone, for example. However, androgenic activity with Anavar does still exist even though it is to a small degree, and so androgenic side effects should still be considered a part of Anavar side effects indeed, especially in those who are extra sensitive to androgenic side effects. Androgenic side effects include: increased sebum secretion (oily skin), increased bouts of acne (linked to increased sebum secretion), bodily and facial hair growth, and the increased risk of triggering male pattern baldness (MPB) in individuals that possess the genetic trait required for the condition to manifest itself. HPTA suppression: This is one of the Anavar side effects that is wrongfully accused of being very mild. Evidence in the form of studies have in fact shown that Anavar is just as suppressive to the HPTA (Hypothalamic Pituitary Testicular Axis) as any other anabolic steroid used at bodybuilding doses, or doses required to experience significant performance and physique enhancing effects. Hepatotoxicity: This has been covered several times throughout this article thus far. Anavar side effects do include that of hepatotoxicity, though to a lesser degree than other oral anabolic steroids. Anavar has been compared side-by-side in terms of hepatotoxicity with a variety of other oral anabolic steroids, and conclusions have demonstrated Anavar to be much less hepatotoxic than those compounds. However, it is still recommended to use Anavar for periods no greater than 8 – 10 weeks. Cardiovascular effects: All anabolic steroids, Anavar included, express negative changes and strain on the cardiovascular system. This includes negative changes in cholesterol levels, increases in blood pressure which in turn increase strain on the heart and arteries, etc. Anavar in particular, being an oral anabolic steroid, will exhibit worse negative cholesterol alterations than other anabolic steroids (especially injectables). Internet sources that place limitations on their buyers in the form of minimum order limits (normally a limitation of at least a $200 purchase), but with this limitation comes the benefit of lower overall cost per item. Internet sources that do not place limitations allow buyers to buy Anavar in whatever smaller amounts desired, but at the expense of higher costs per amount. Gym-floor sources are sources that an individual looking to buy Anavar would know personally, and they normally carry products in the same price range as internet sources that restrict buyers to minimum order limits, and these in-person sources frequently only accept minimum order limits as well. Pharmaceutical grade Anavar can normally be found, depending on the source, in the range of $70 – $120 per 10mg tablet with the lower end being sold from sources that set minimum order limits. Underground lab (UGL) grade can be bought for anywhere between $1 – $3 per tablet (10mg each) depending on the source type.